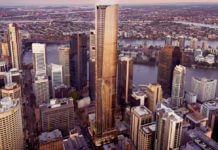 Brisbane CBD’s skyline is set to reach new heights when the city’s tallest tower comes to town. Located at 222 Margaret Street in the CBD, Brisbane Skytower will be the highest building in Brisbane and the third tallest in Australia, behind only Q1 on the Gold Coast and Eureka Tower in Melbourne. At 90 storeys (274 m), Brisbane Skytower will boast the second highest habitable units in Australia with the developers hoping to eventually take out the top spot with the addition of a further 26m. Brisbane Skytower’s innovative, equilateral triangle design has been uniquely created to integrate with and complement Brisbane’s contemporary skyline. A combination of architectural treatment and materials will ensure Brisbane Skytower blends with the character of Brisbane’s existing landscape. Its double-glazed, full height windows will reflect the changing colour of the Brisbane sky, resulting in a visually exciting luminary presence and a continually evolving face across day and night.  The project forms part of a joint venture between Sydney-based property developer Billbergia and leading investment house, AMP Capital. The partnership boasts a successful five-year track record in the delivery of over 870 quality apartments in developments including Sirius and The Broadwater at Wentworth Point in Sydney. Billbergia Managing Director and Co-Founder John Kinsella said the joint venture recognised the opportunity to create an iconic building in the Brisbane CBD which would add value to the cityscape, attract prospective investors and become a destination for city living. “Brisbane has a passionate desire to become one of the world’s top ten lifestyle cities and its transformation has already begun,” he said. “Brisbane Skytower will take advantage of the opportunity to meet demand for premium, yet attainable, dwellings in the CBD and presents an exciting opportunity for local, interstate and international investors to be a part of Brisbane’s journey towards ‘new world city’ status. The project will deliver approximately 1,119 residencies comprising a mix of one, two and three bedroom apartments through to sub-penthouse and penthouse apartments. Strategically designed to maximise breathtaking views, Brisbane Skytower will offer unparalleled panoramic views over the Brisbane River, Botanic Gardens and beyond. A beautifully landscaped third floor podium will provide sunlight and views from lower level apartments while the sky recreation deck, situated on the 89th floor, will be home to Australia’s highest infinity pool. Mr Kinsella said Billbergia is leading the Development team for Brisbane Skytower due to its impressive track record in delivering high quality residential property developments. “Billbergia is renowned for creating sustainable communities that offer the highest standard of living,” he said. CBRE Residential Projects who is launching Brisbane Skytower on the 29th of November said interest has so far been extremely strong. 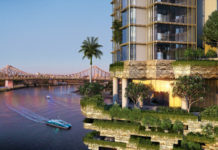 “This is an iconic project for Brisbane and that is reflected by the amount of interest we have had to date with overwhelming demand from both locals and interstate buyers,” said Paul Barratt of CBRE. A wide range of apartment types are available throughout the full height of the tower, with 1, 2 and 3 bedroom apartments starting from $425,000. What hvac company has been contracted for this site.. ? I’m also interested in this information as well as who is Mechanical Consultant for HVAC! ?